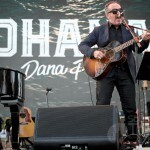 In a day and age where music festivals are seemingly everywhere and every weekend, the need to produce an experience that creates differentiation is a challenge. 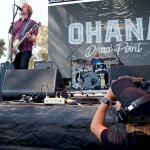 Using the backdrop of the Pacific Ocean, the inaugural Ohana Festival at Doheny State Beach immediately set itself apart from the rest. 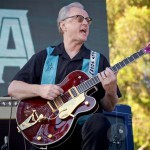 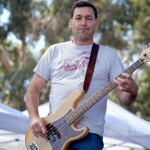 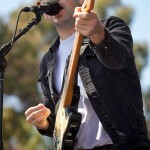 The legendary surf location and campground in Dana Point is no stranger to world class festivals, having played host to countless events such as the Doheny Blues Festival & Doheny Days. The park’s 5 acre lawn area was transformed for the two day festival August 27th & 28th, featuring headliners Eddie Vedder & Lana Del Rey. With proceeds benefiting the San Onofre Parks Foundation, Saturday’s lineup featured a steady mix of rock and roll with Mudhoney, X, Band Of Horses and Elvis Costello joining Vedder on the bill. 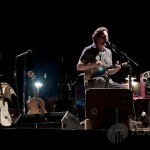 Just steps from the ocean, bleachers were erected over the sand to provide much needed visibility. 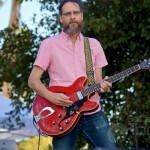 By late afternoon the venue was packed, creating extensively long lines at the artisan food and craft beer vendor booths. 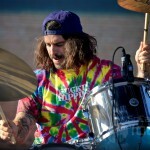 The overall vibe of the festival was very casual, with many using beach towels to stake claim to their own piece of real estate in front of the main stage. 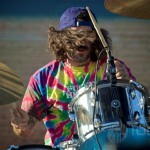 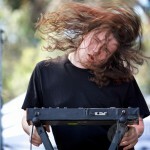 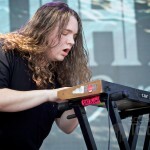 Louisville, KY based White Reaper kicked off the main stage responsibilities at 2:30. 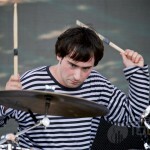 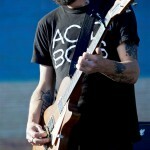 Founded just 2 years ago, the garage punk band brought a high energy 30 minute set to the crowd. 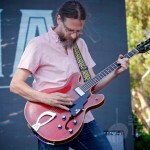 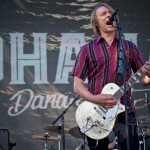 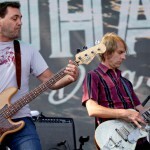 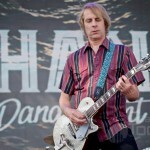 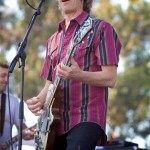 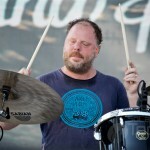 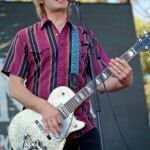 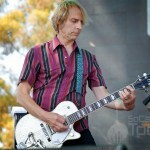 Seattle-based and alternative rock veterans Mudhoney followed shortly behind with a 12 song set that included a heavy mix of grunge, blues and punk rock. 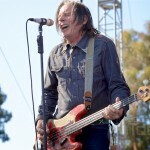 Hits such as “You Got It” and “In N Out of Grace” mixed nicely with a few covers from Roxy Music and Circle Jerks. 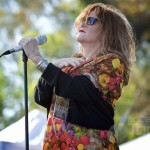 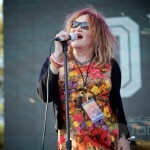 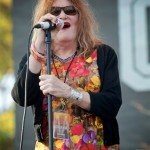 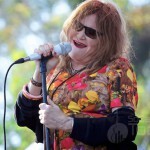 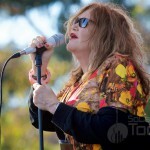 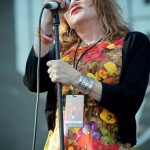 Local punk legends X, with Exene Cervenka on vocals and John Doe on lead guitar later performed a solid set that included hits “Come Back To Me” and “Los Angeles”. 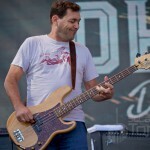 The Tiki Stage, serving as the side stage for the afternoon, filling in and occupying the crowd during the 20 to 30 minute change over delays on the main stage. 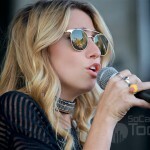 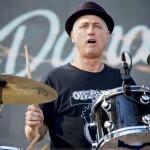 It housed various Polynesian dancers as well as very brief performances by Jack Irons (original drummer for both Pearl Jam & Red Hot Chili Peppers) and Lily Meola, a spirited Maui-based singer/songwriter who has toured alongside Willie Nelson. 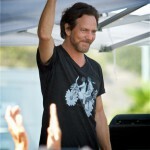 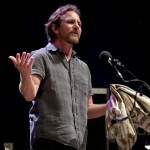 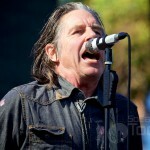 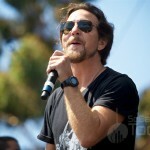 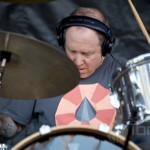 Vedder made brief appearance with Irons during both of his sets during the day, showing support for his former bandmate. 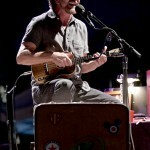 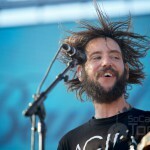 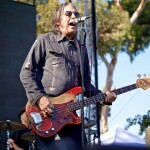 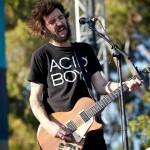 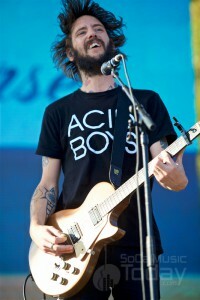 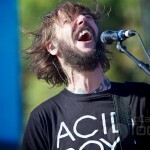 The second half of the lineup leading up to the headliner (Eddie Vedder) included Band Of Horses and Elvis Costello. 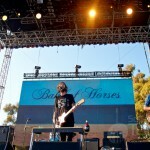 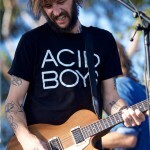 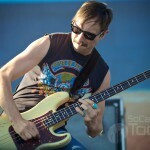 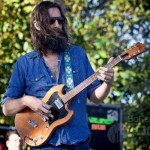 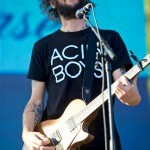 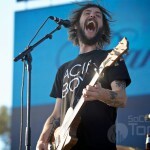 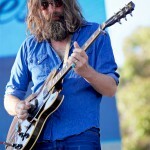 Horses’ front man Ben Bridwell and the rest of his bandmates squeezed 10 songs into their abbreviated set that included “Powderfinger”, a Neil Young & Crazy Horse cover. 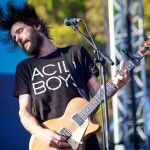 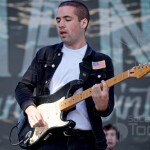 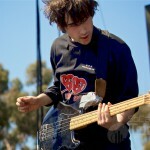 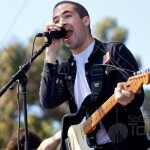 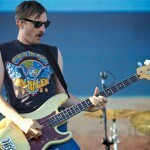 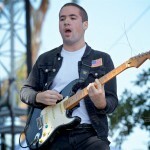 The Seattle outfit ran through hits “Is There A Ghost” and “No One’s Gonna Love You” before closing with “The Funeral”. 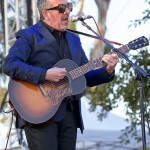 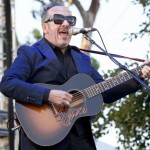 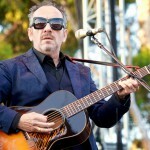 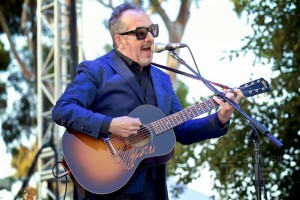 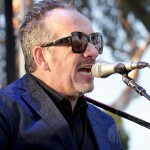 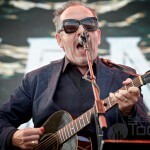 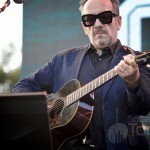 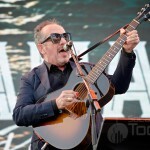 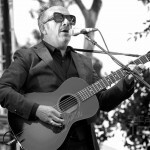 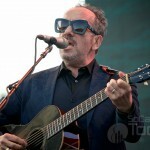 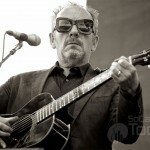 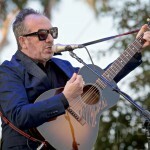 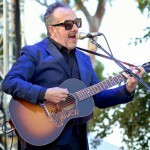 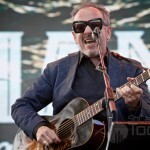 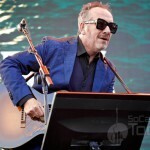 With the setting sun as backdrop over the Pacific Ocean, Elvis Costello began his solo set acoustically with “(The Angels Wanna Wear My) Red Shoes”, “Watching the Detectives” and “Veronica”. 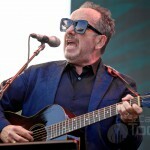 The English singer/songwriter and humanitarian took his time during the set to chat up the crowd between songs, eventually moving to his piano to perform the classic “Pump It Up”. 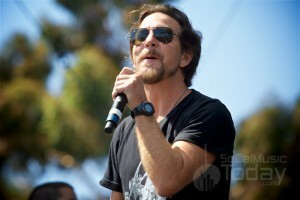 Vedder later made another guest appearance to aid Costello with vocals on “(What’s So Funny ’Bout) Peace, Love and Understanding”, before he returned backstage to ready himself for his own upcoming set. 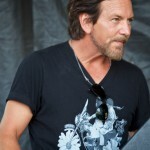 With the eclectic openers having all finished their sets, the anticipation that lead up to Vedder’s set was heavy in the salty, summer air. 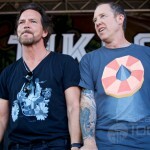 With many of the festival’s attendees sporting various Pearl Jam or EV shirts, the stage was finally set for the highlight of the festival. 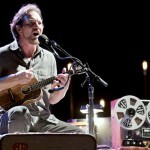 Vedder joined the crowd at 8pm and sat down for a 22 song set that would include covers (from Pink Floyd, Beatles, Cat Stevens and Neil Young), his own solo tunes and of course Pearl Jam songs. 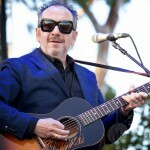 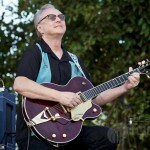 He expressed his admiration for Costello, thanking him for his participation and his incredible lyric writing skills. 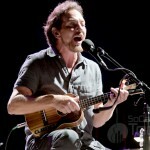 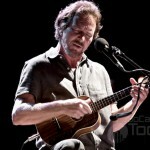 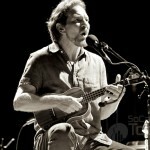 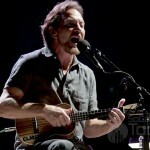 Vedder’s set created a mood reminiscent of a campfire jam, especially at the beginning when he was solo with only a ukulele and his powerful vocals. 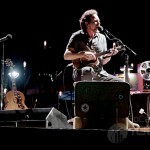 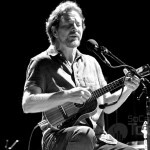 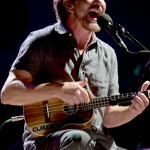 “Can’t Keep”, off Pearl Jam’s 2002 release Riot Act opened the set and led into “Sleeping By Myself” and “Without You”—both solo songs off his 2011 Ukulele Songs release. 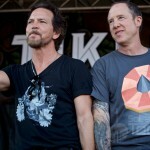 Later in the set a nervous professional surfing champion, Kelly Slater joined Vedder on “Indifference”. 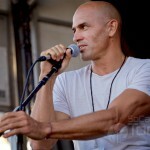 Slater played a major role in the event, serving as a curator of the Volcom & the Ocean Institute’s Science of Surf expo that offered a historical look at local surfing. 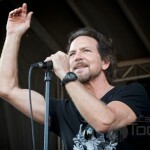 Saturday coincidentally marked the 25th anniversary of Pearl Jam’s Ten release—on this evening the only track off that historic album presented was “Porch”. 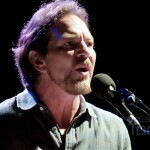 The evening closed out with artists from throughout the day joining Vedder on stage for “Rockin’ In The Free World”, the Neil Young sing-along hit. 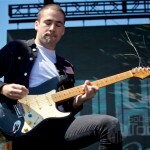 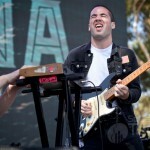 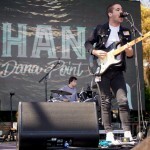 In a day and age where EDM has merged with rock and alternative music seemingly at every festival, it was refreshing to have Ohana’s promoters create a festival that not only took the natural setting into consideration but create a relaxed environment that took a weekend to celebrate rock and roll. 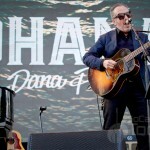 By 10pm and with a strict beach curfew in effect, day one of the very first Ohana Festival was in the books—sending it’s attendees to their shuttle buses and onto Pacific Coast Highway.